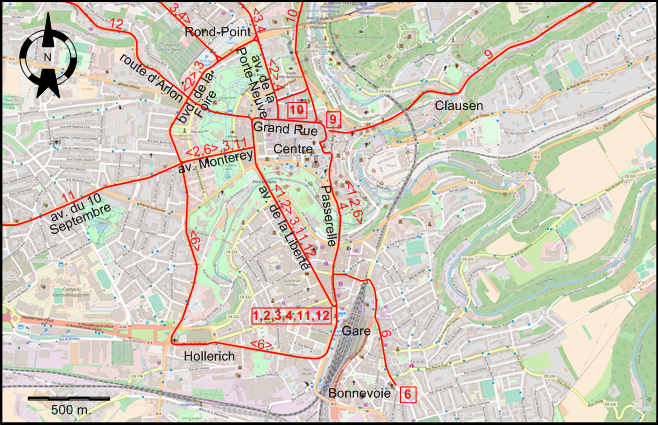 The Luxembourg tram system at its greatest extent, just before part of line 9 was eliminated. Urban trams: ca. 30 km. Urban trams (First generation): (horse-drawn) 21 Feb. 1875 - 1 Oct. 1908; (electric) 8 Aug. 1908 - 5 Sept. 1964. 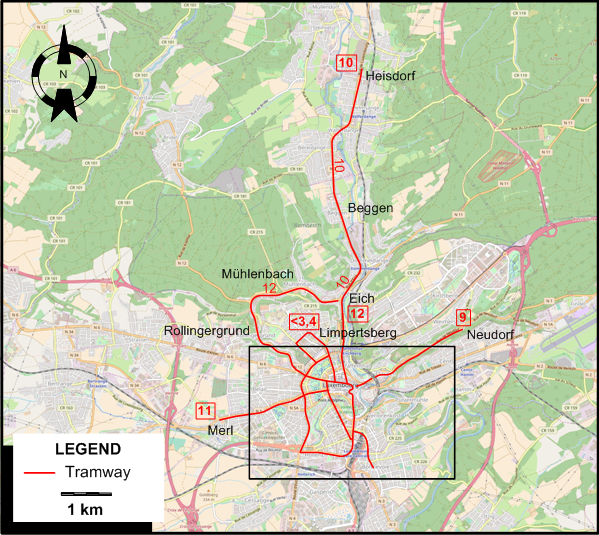 Second generation tramway: 10 Dec. 2017 - today. Funicular: 10 Dec. 2017 - today. 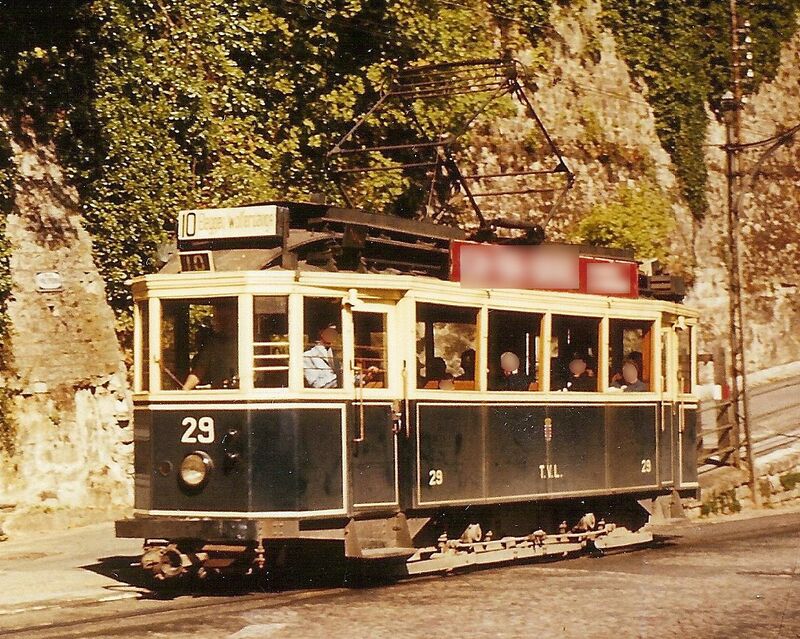 Second generation tramway: 1435 mm. Wagner, F. "Luxtram: A capital idea", Tramways & Urban Transit, Feb. 2018 (81: 962), p.56-59.